It is recommended that you subscribe to the updates at the bottom of the BC Ferries webpage to insure you receive the most up to date and accurate information in advance of the meeting. 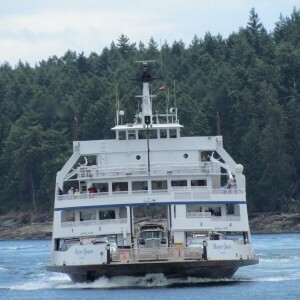 The fundamental change will be that the two ships that serve us from Swartz Bay will be paired with islands – one will serve Saturna and Galiano, one Pender and Mayne Islands. If you travel to and from Saturna, Galiano or Saltspring from Mayne Island there will be severely restricted options (Mostly through Swartz Bay) compared to the present schedule. It is worth noting that the Queen of Cumberland likely will be replaced by the Island Sky as part of the deployment of the new vessels. What is not on the table is the Saturna Short link, a proposal that would see enhanced serve to all of our islands (Proposal PDF can be found on the links at the top of this page). This entry was posted on Wednesday, August 5th, 2015 at 6:16 pm and is filed under BC Ferries, Web site news. You can follow any responses to this entry through the RSS 2.0 feed. Both comments and pings are currently closed.